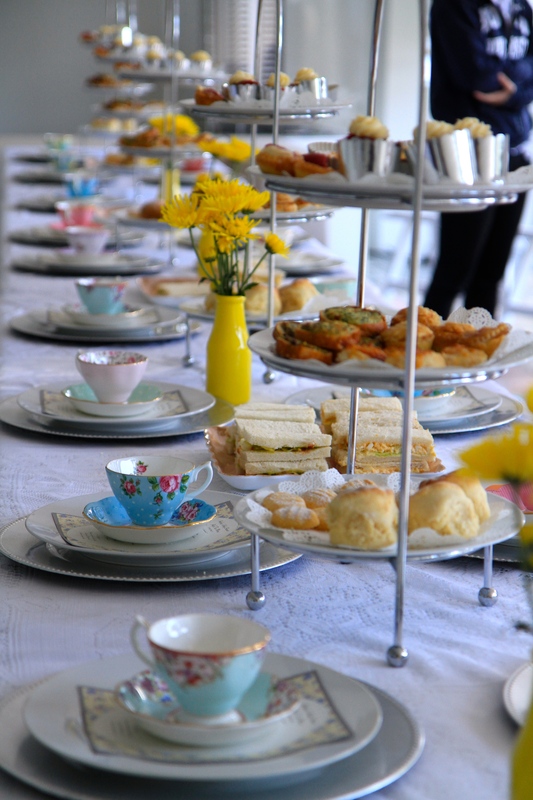 We offer a delicious high tea catering service for all suburbs of Brisbane and the Gold Coast from South Tweed to North Brisbane. Are you considering hosting a High Tea party for your next celebration or event? We offer the most delicious high tea menus, a large range of different packages, beautiful silverware and china, as well as many optional add-ons for perfect high tea catering at your home, venue or business. All High Tea Catering is delivered to your chosen location and set up beautifully. Our High Tea Catering is perfect for every occasion including Bridal Showers, Hen’s Parties, Baby Showers, Kitchen Teas, Weddings, House warmings, Birthdays, Cocktail Parties, Fundraisers, Retirement villages and Corporate Catering. We can cater for dietary requirements. We let you choose your favourite selections from our menu (Most high teas are a set menu). We include custom menus and personalise your event to make it special. We love what we do and make organising your event easy and enjoyable. We have a huge range of the prettiest china, including the latest Royal Albert tea sets. We have options for “High Tea catering only”, “China hire only” or complete packages. All of our food is custom made freshly for your event with quality ingredients. Our package prices are very competitive. We have the facilities to cater for 10 to 200 guests for high tea events. What is included in a High Tea package? 3 Sandwich, 3 Sweet and 2 savoury selections from our menu. Fresh scones with Chantilly cream and raspberry jam. Set up of your event and pack up/clean up afterwards. All decorations and table styling. Quality China Tea Cups, Saucers and Plates. Teaspoons, Dessert Forks, Silver sandwich servers. Sugar bowls and Milk jugs with sugar and milk. Glass water dispenser with iced lemon and mint water. 50 cup hot water urn. Nespresso pod coffee machine including Dibella brand coffee pods. Tables and decorative furniture pieces to match your theme if needed. Personal servers: $35 per hour. Americana style white padded chair hire: $4. Champagne flute hire: $1 each. Additional drinks in glass drink dispensers: $20 each. Fresh floral arrangements: Please ask us for a quote. What are the prices for High Tea packages? *Prices listed below exclude GST. Minimum guest numbers: 15 people. Please contact us for special rates for fundraisers or charity events. Do we have to wash the crockery after our event? No, we will collect the china and do that for you! I would like to book a package but I’m not sure of the exact number of guests yet. What should I do? Deposits to reserve your requested date are $100 to $200. Once you reserve your date you have until 7 days prior to your event to confirm final numbers. What types of High Tea Set-Ups can I choose from? 1) Formal place settings. This is the traditional way to serve High Tea. The stands are set up down the middle of the tables. Once you let us know what your event theme and colours are, we can tailor the styling of your high tea to match. We love to pay great attention to detailing each event to make it a memorable occasion! We have a large selection of china including Royal Albert, Royal Doulton, unique metal vintage stands, miss-matched sets, gold Robert Gordon sets, Cristina Re fine china- the list goes on! How long will my high tea last? We will arrive 45 minutes to 2 hours prior to your event start time to set up, depending on how big your event is. If you choose to book wait staff we can advise you on service times. Most high teas tend to run for 2 to 3 hours. It usually takes us 1 to 2 hours after the event finishes to clean up. We understand accidents do happen. If any items are lost or broken we will ask for you to cover the cost to replace them. Yes we do request a non-refundable deposit of $100 to $200 depending on the size of your event. Once you pay your deposit your event date will be secured.